December 3 – What is Daniel 11 all about? First, we need to remember that Scripture was written for the immediate audience first. Daniel is writing to the Jewish people for their immediate edification. 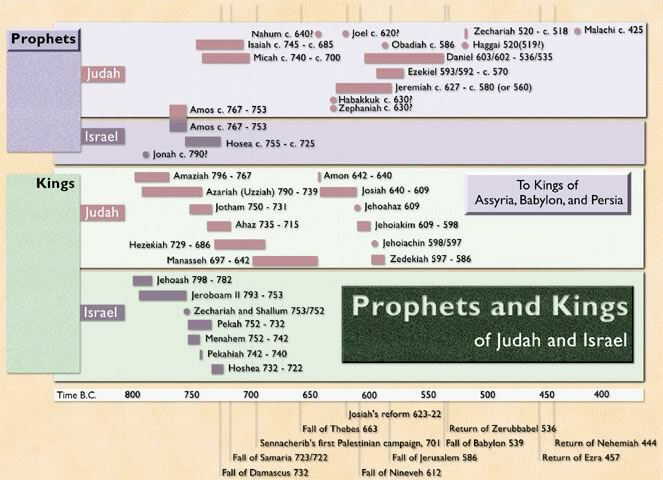 If we look at a Bible timeline of chronology, we notice that there was a surge in prophets around the fall of Jerusalem. Habakkuk, Zephaniah, Joel, Jeremiah, Ezekiel, Daniel, Obadiah all were writing around the fall of Jerusalem (586 BC). Haggai and Zechariah were writing around the return of Zerubbabel (536 BC), Ezra, Nehemiah, Esther and Malachi were active around 450 BC for the rebuilding of the walls. And then roughly 450 years of silence. Probably no other portion of Scripture presents more minute prophecy than Daniel 11:1-35, and this has prompted the sharpest attack of critics seeking to discredit this prophetic portion. Interestingly enough, it was the eleventh chapter of Daniel with its detailed prophecy of about two hundred years of history that prompted the heathen philosopher Porphyry (third century a.d. ) to attack the book of Daniel as a forgery. In his study, Porphyry established the fact that history corresponded closely to the prophetic revelation of Daniel 11:1-35, and the correspondence was so precise that he was persuaded that no one could have prophesied these events in the future. Accordingly, he solved the problem by taking the position that the book of Daniel was written after the events occurred, that is, it was written in the second century B.C. This attack prompted Jerome to defend the book of Daniel and to issue his own commentary, which for over one thousand years thereafter was considered the standard commentary on the book of Daniel. 1 John 3:13 – There is a war between the world and Christ. John is reiterating the teaching Jesus made (John 15:18). What’s the difference? At the end of the day, the symptoms are not absolute, but believing on Jesus Christ (1 John 3:23), and having the Spirit (1 John 3:24). Psalm 122:1 – Do you look forward to spending time with God’s people? Psalm 122:6 – Notice the blessing for those who love Jerusalem! What is the peace that will come to Jerusalem? Paul shared his burden in Romans 10:1. Proverbs 29:1 – Rejecting correction brings destruction!